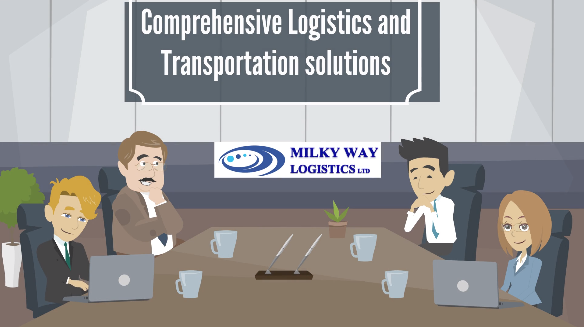 Milky Way Logistics Ltd is a freight forwarding service provider in the UK based in City of London. Among all different forwarding services that Milky Way Logistics is providing; is the expert solution of providing pallet shipping from UK to USA. Any cargo from commercial loose to boxed to personal effects to any out of norm shapes could be packed on pallets of standard size which are more recognisable and more preferred by the transporters and carrier. Milky Way Logistics Ltd, also offers the palletising service at the most competitive rates. For any shipment of pallet from UK to USA all destinations, please try out the Request A Rate form on our web site and provide all required information about the shipment and our expert team will assist you with your shipment. At Milky Way Logistics Ltd, we are offering professional airfreight service for your palletised goods when the volume is not so big but the transit time is an element to consider. For all your shipment with time barriers when you need those to be shipped to USA at a very short transit time, we can help you to arrange quality airfreight service. It might not be the cheapest mode of service however the quality of service and the transit time is guaranteed to be the best. For our airfreight service, we first provide you the rates as per the information we receive from you, and upon agreement on the costs we arrange collection of your goods from your origin that could be your door or suppliers warehouse or any site of your request and then we transfer to the airline storage at the airport for further formalities, measurement and documentation. As per the actual measurements you will be invoiced and at the same time the shipment will be booked on a flight for its journey to the destination in USA. All original documents are issued as per your instructions and any financial or credit contract requirements. Pallet shipping to USA has never been any easier with the expertise of Milky Way Logistics. Ocean shipping or transatlantic shipping of goods from UK to USA has been one of the most important routes in International shipping and trade. Milky Way Logistics, provides first class service on ocean shipping. For all larger quantity of commodities where there are various number of pallets, you can rely on our ocean services where we offer container shipping through the best shipping lines of the World. At this practice, you will be provided with the empty container where you can stuff all your pallets inside container and we return the stuffed container to the port yard for further formalities, weighing and documentation and booking on a vessel. There are many specific rules and regulations for each export shipment via sea that at Milky Way Logistics; thanks to the experts experience and qualifications, everything is taken care of and you do not have to worry as your goods are in safe hands up until the destination. Just like the airfreight service, you will be provided with all original shipping documents that are the identity of your shipment and you will be able to release your shipment at the destination port. Therefore for any shipments from UK to USA including palletised shipment and any small or large volumes please contact us today at enquiries@mwll.co.uk or just fill in the form of Request A Rate on our web site and you will be assisted by one of our expert team.